The knee joint is formed by the union of two bones, namely the femur (thighbone) and the tibia (lower leg bone). 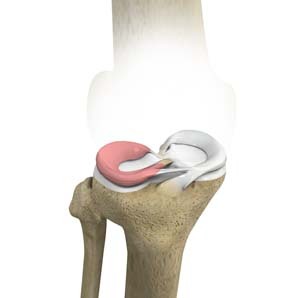 At the junction of these two bones is a cartilage called the meniscus, which acts as a shock absorber. There are two menisci - the lateral and medial menisci. The lateral meniscus is the outer meniscus of the knee joint and gives a cushioning effect during weight bearing activities. Lateral meniscus syndrome is characterized by an injury caused by the tearing of the cartilage tissue or a rare case of a congenital abnormality called a discoid meniscus, which results in knee pain.